Over the past few months, I’ve developed a good relationship with Lukas Nachtman, the CEO of PokerList, an app that helps you find the poker games running closest to you in Europe. Exhibiting an impressive entrepreneurial streak, it’s always great to have a relationship with someone so similarly passionate about poker as I am. Moreover, having myself helped to develop the Poker Notes Live app, I personally understand what many of the challenges are like. 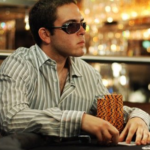 While I know Lukas on a business level, I was naturally curious to learn more about him, how his love for poker developed, and also the story of how his PokerList app came to fruition from once upon a time just having been an idea. I thought you’d find his story interesting, too. Here, then, is our interview, which I hope you enjoy. Tell us a little bit about your background in poker. How and when did you first get into the game? I first got into poker at the age of 18 and started to play online freerolls, where I did pretty well. At the same time, the first poker room opened in Prague, so I started to play some live poker there as well. Where do you live and usually play poker? I was born in Prague, but I have been living in Bratislava for the last few years. Coming from a poker room background, I personally tend to prefer them over casinos, with my favorites being the Golden Vegas Poker Club here in Bratislava, and the Montesino in Vienna, which is a short drive from Bratislava. When I visit my parents in Prague, I like to go to Rebuy Stars Savarin in downtown Prague. I prefer tournaments over cash games. The one thing missing for me is Open Face Chinese tournaments, because I like the game a lot. How often do you take poker vacations/trips and what are your favorite destinations? Over the course of the last year my poker vacations have become a combination of poker, fun, relaxation, and business of course. Recently I attended the Battle of Malta, a great event, hosted at Casino Malta by Olympic Casino, which had its €1 million guarantee smashed by more than €800K, which is fantastic. Among the other recent poker trips I’ve taken and have enjoyed are staying and playing in Grand Casino de Namur in Belgium. 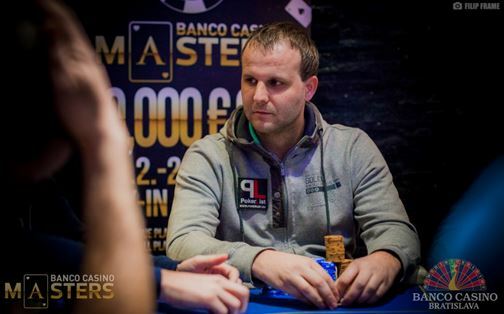 I plan to visit lots of European poker rooms in the near future, starting with a trip home to Prague in December to take part in the EPT Prague. 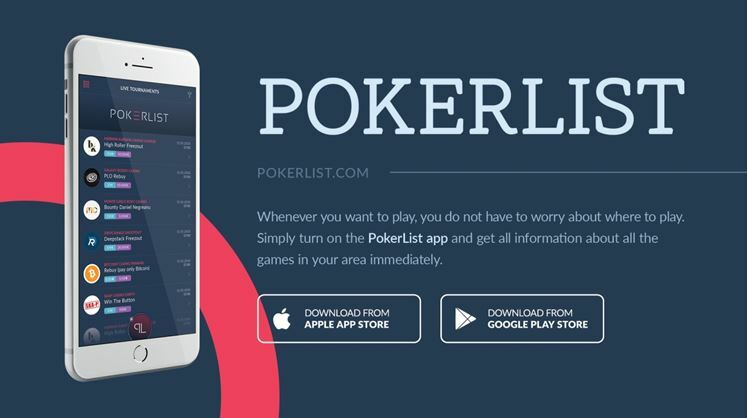 What first gave you the idea to create the PokerList app and how did you come up with the name? Everybody who travels for poker, or plays the game recreationally, knows the struggle, especially in Europe. You have to search for tournaments and cash games all over the place, across multiple platforms, and even then, you sometimes miss the best action or even aren’t aware that there’s a poker room right under your nose! That can be super frustrating. This is why PokerList was created – credit goes also to my former associate. More than a year ago, there were some changes in our company – I took PokerList under my wings, and with a new team we strive to give poker players and enthusiasts the best service – all the information they need from of as many casinos and poker rooms possible. I think the name PokerList represents the content our app offers, and our values the most. How long did it take to create the app from the first time you conceptualized it until it was published on the major app stores? Like I mentioned in the previous answer, about a year ago there were some changes in ownership of our company. You could say that the app has been around in its present form for a little over a year, then. We’re also constantly working to improve PokerList. With every new visit we make to European poker destination, we get new ideas and inspiration because every country has his own poker specifics, and the needs of the players, casino venues, and poker rooms also vary. We try to implement all improvements as quickly as possible so that the app gives players what they want and provides the most up-to-date information available from poker rooms and casinos. Did you create the app by yourself or did/do you have a team of people working on it and helping you? The fact that I studied IT in university turned out a huge advantage when creating and editing the app. I understand the principles and I can “speak the language” of the programmer. Whoever has worked with IT developers will know what I am saying here. Our head IT developer, who is also responsible for the iOS, is a true expert in his field. We are constantly debating new ideas and every time we come up with something, he knows how to devise a solution so that our ideas work also on the programming side of things. Important to note, we also have to deal with rules, regulations, and legislation, which is slightly different in every European country. Unfortunately, most of the government institutions seem to believe that there is no difference between promoting/running an online poker site as opposed to promoting live casinos and poker rooms. On multiple occasions we have had to explain to government officials that one cannot actually play poker on the PokerList app, nor does it facilitate online gambling. Of course we are also very careful to only provide information about licensed brick and mortar poker rooms and licensed land-based casinos. My associates, who are lawyers, have mastered the ability to explain all of this very simply, so that the legislators and other officials in various countries who don’t know the difference, understand. To that end, we also had funny conversation with Google and Facebook, trying to explain to them how we work… We’re glad that is behind us! It takes a lot of time and effort to develop a high-end poker app, yet you allow people to download it for free. 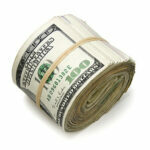 How does PokerList generate revenue? You’re right Robbie! It took lots of time and effort, so that everything works in the way like it is today. There is lots of data out there, so the work is not easy and it’s obviously time consuming. It is our policy that poker players and enthusiasts will always be able to download the app (via the App Store and Google Play) for free, nor will they ever be bombarded by non-poker related advertising. To specifically answer your question, then, our revenue is generated by the ones who profit most from our app – casinos, poker rooms, and poker-related event agencies. Cardplayer Lifestyle readers learned all about PokerList in a previous article from back in August, which I linked to at the beginning of this piece. Since then, you have added tons of new casinos and poker rooms from two additional countries, Belgium and the Netherlands, to your lists. What other new developments have there been in the last few months? Well, your readers and our app users in the United Kingdom, Ireland, and Malta may be aware that numerous Cardplayer Lifestyle articles are syndicated to our app. I feel that your content is very interesting, so that’s some added value we can give our users. Currently we are active in 14 European countries, and we are focusing not only on the big poker markets such as Germany and France, but also on the smaller ones, like in Belgium and in the Netherlands. A great feature of our app is the built-in navigation. Some poker rooms may be a bit difficult to locate, so this feature quite literally helps bring more players to the tables and get all the information about the games in their neighborhood. This is especially useful for tourists who would otherwise get lost in an unfamiliar city. In the Events section of our app, we also list the full tournament schedule and live cash game updates from all poker festivals running in Europe. 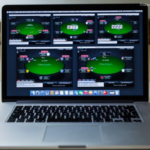 What new developments can PokerList users expect in the near future? As mentioned, we are always coming up with new ideas and implementing user feedback to improve the app. Specifically, we are planning to roll out a big update after New Year’s, so until then, we will continue visiting poker rooms, casinos, and events. There are, of course, many other countries in Europe where live poker is played, so we hope to eventually add them into the fold along to join our current list of 14 nations. In short, there is a lot to get excited about, so stay tuned for further information. Like Cardplayer Lifestyle readers, I am also a poker player, and I like to have fun while playing poker. Lately, I see that some of us have started to take the game too seriously, which diminishes the amount of fun and excitement in the game. That’s really a shame. Live poker should be about fun, meeting people, and having a good time. There’s no reason why every live session I play in shouldn’t be enjoyable, even if I don’t end up winning. I’d like to recommend that poker players and enthusiasts try to travel to other countries and in general get out and play poker in different locations than usual. You would be surprised how different and interesting the game could be in different locales.